Geta a great price on the Suorin Vagon pod system from VaporDNA.com. 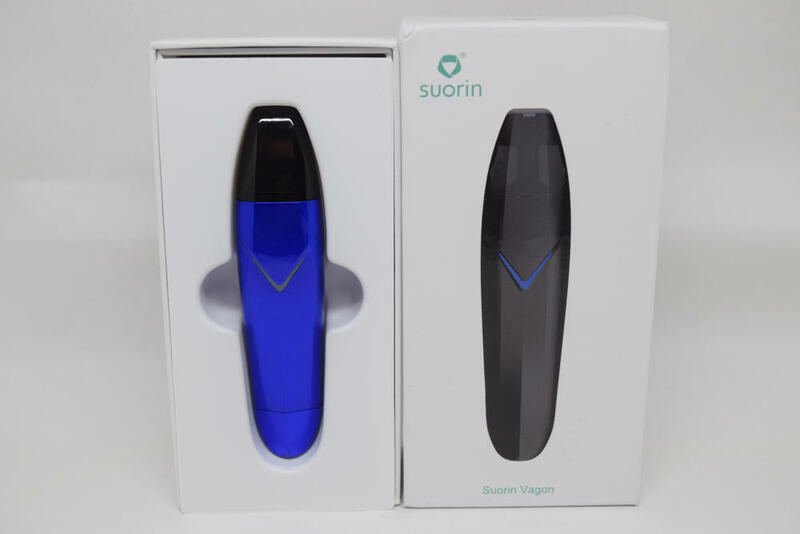 The Suorin Vagon comes in a white, rectangular cardboard box with a life-size plasticized image of the vaporizer on the front, and a list of package contents, company information and a scratch-and-check authenticity seal on the back. Inside the box, we have the assembled Vagon placed in a plastic holder as well as a smaller cardboard box containing a micro-USB charging cable, a flimsy user manual, a safety card, warranty card as well as quality control certificate. It’s pretty much the standard starter kit for this sort of device, but I do wish they had included another rechargeable pod, even if it meant raising the price by a couple of bucks. If you accidentally burn the cotton wick of your pod, which can happen, especially with vaping beginners, you’re left with the sole option of buying a new pod in order to use the device. 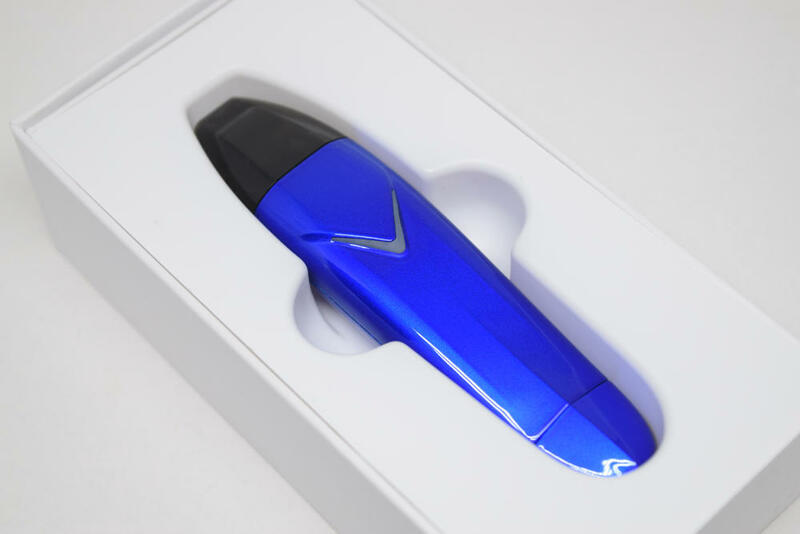 Suorin seem to be sticking with unusual designs for their products, as after the credit card-shaped Air pod system, the new Vagon looks a lot like a marker. It even comes in a number of vibrant colors and has a glossy finish, which only emphasizes the resemblance. However, I wouldn’t call this a con, by any means. If anything, I like that they didn’t try to emulate the JUUL, like so many other Chinese companies seem to be doing these days. 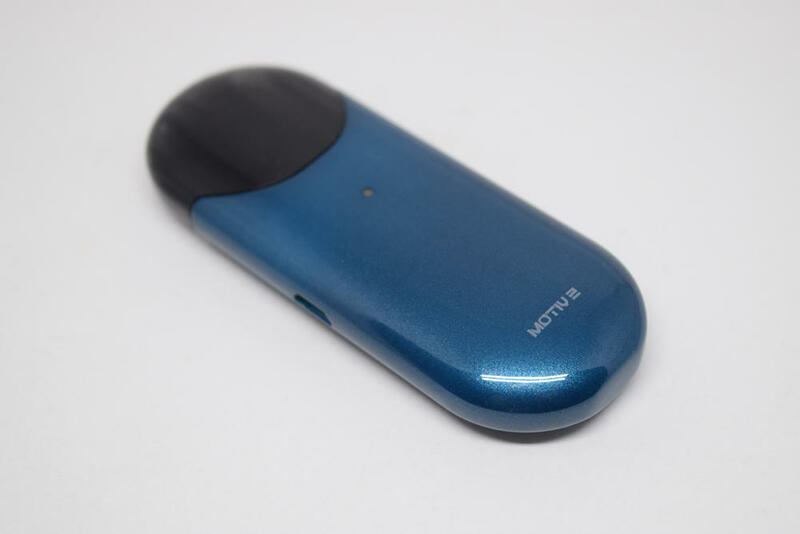 The Suorin Vagon is 10.5-cm-long and weighs only 56 grams, and is very comfortable to hold both in the hand and in the smallest jeans pocket. 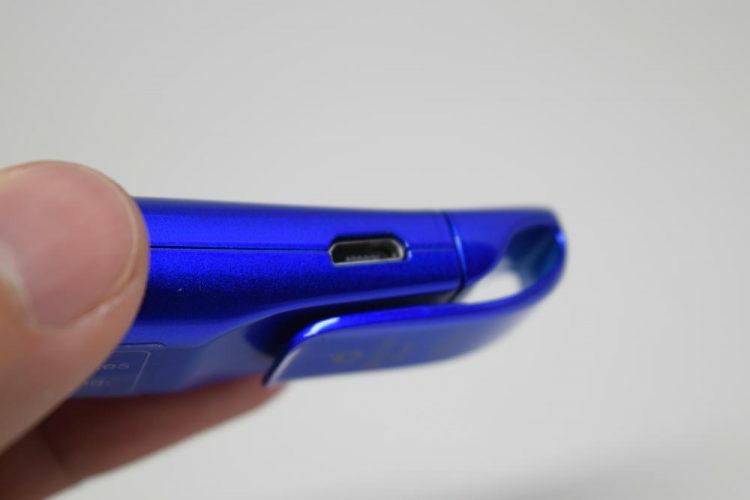 Interestingly, if you don’t like holding your vape in the pocket, or if you simply don’t have pockets, the Vagon features a handy clip on one end, allowing you to just clip it onto your belt, a bag or even your neck collar. 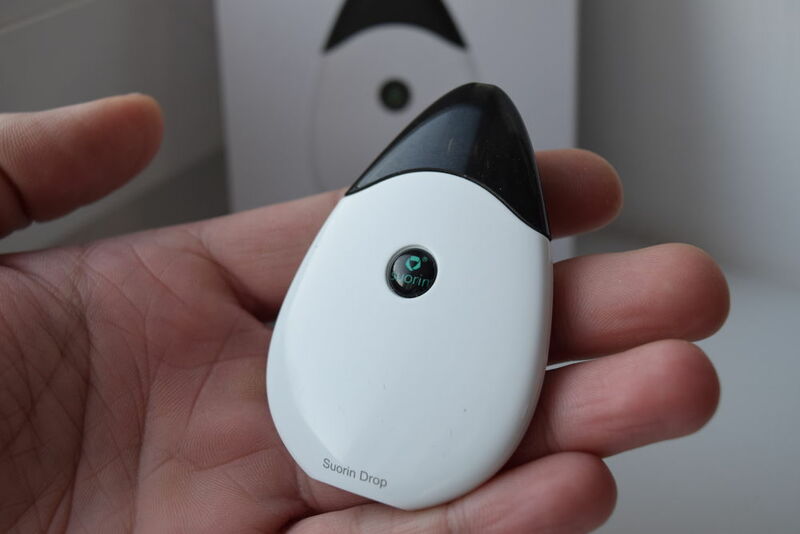 Like most other pod systems nowadays, the Suorin Vagon is made up of a small removable pod, which includes a plastic mouthpiece, the e-liquid tank as well as a built-in heating element, and the battery. 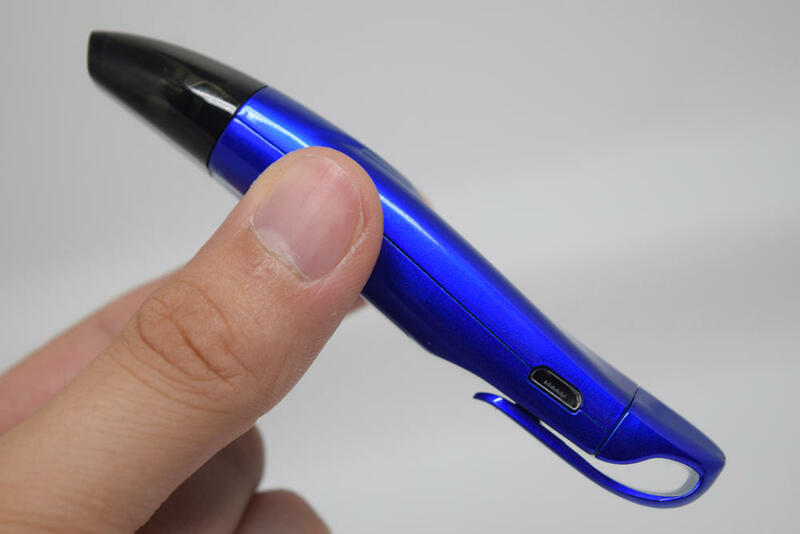 The pod is entirely made of polycarbonate, while the battery has a slick, slightly curved zinc alloy body. The battery features a V-shaped LED indicator that lights up every time you use it. It acts both as a battery life indicator, lighting up different colors depending on how much power is left in the battery, as well as an error indicator, should something be wrong with the device. The micro-USB port is located on the side of the battery and can only be used for charging, as the Vagon doesn’t have upgradable firmware. 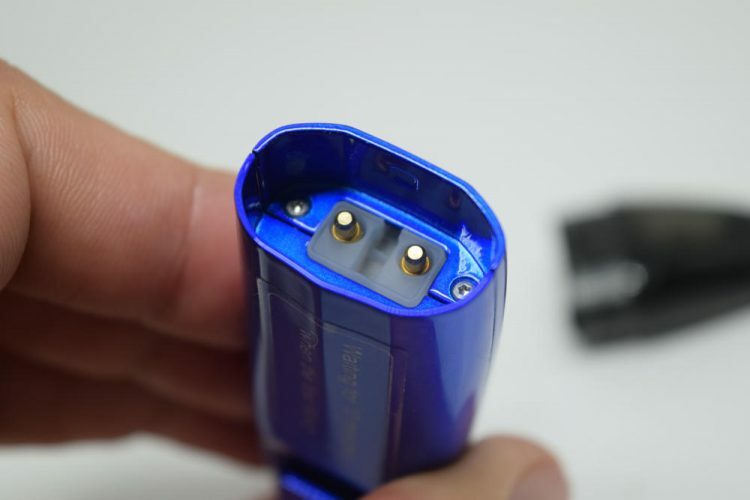 I was happy to see that at the end where the battery connects to the refillable pod, the two metal contacts are insulated with a large piece of silicone, so if e-liquid should leak out of the pod, it won’t make its way into the battery. 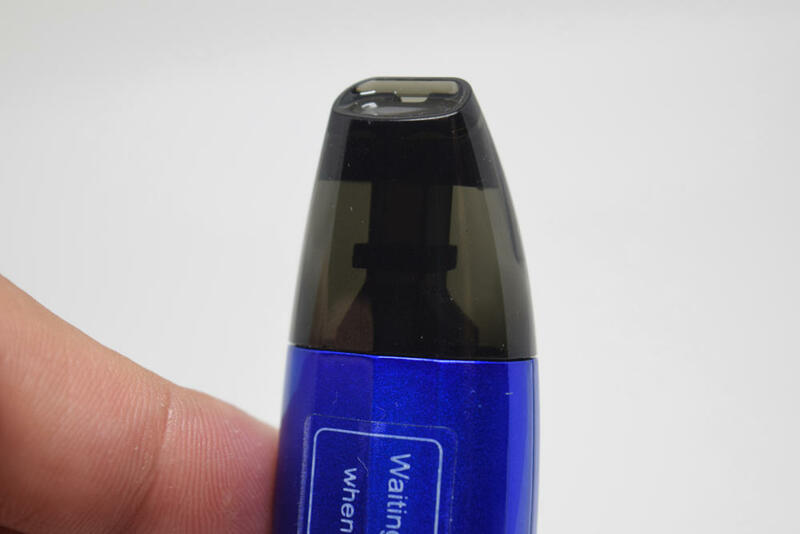 However, the chances of juice leaking out of the pod is minimal, thanks to the silicone membrane installed over the automatic switch on the bottom of the pod. 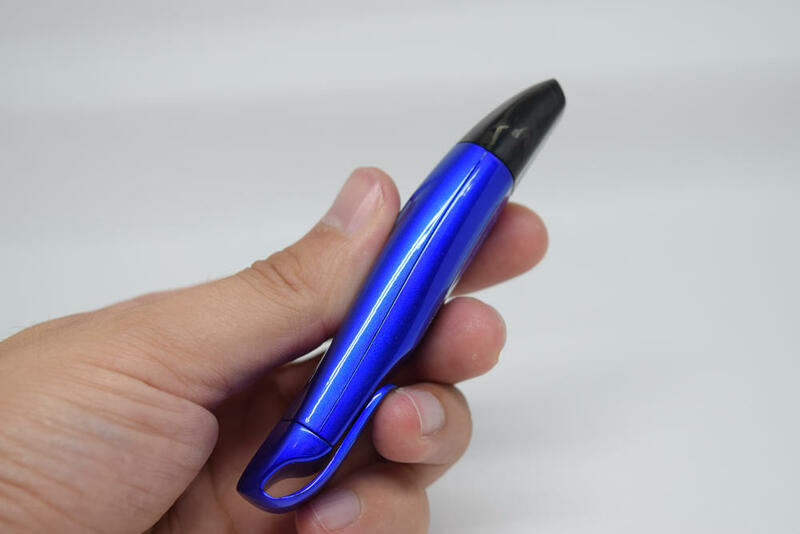 This membrane is raised to allow air to reach the heating element and produce vapor, but as soon as you stop drawing on the mouthpiece, it seals the pod, preventing juice from leaking out. Also on the bottom of the pod, you will see a silicone plug which you have to pull out in order to refill the built-in e-liquid tank. Once you’re done, just plug the port and you’re ready to vape. 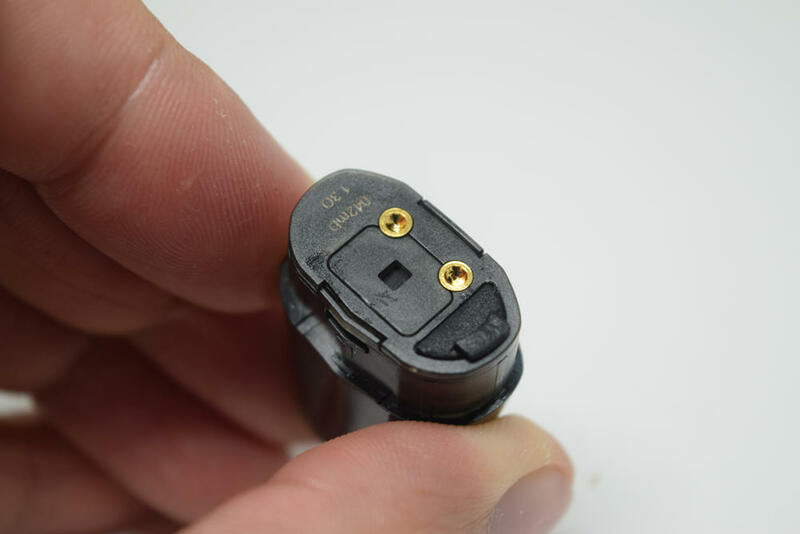 Opposite the fill port, you will also see the resistance of the coil inside the pod. The sample I received for this review had a resistance of 1.3Ω, but I don’t know if Suorin also sells pods with different resistances, and it’s not mentioned on their site. The mouthpiece is slightly curved, like a classic pipe mouthpiece and has a very small air orifice, so you can expect a restrictive, cigarette-like draw. I’ve been using the Vagon for over a week, and I’ve never had juice leak through the mouthpiece and into my mouth. If there’s one thing I don’t like about the Vagon mouthpiece it’s that it is both tinted and glossy, making it hard to see how much e-liquid is left in the tank both in sunlight and low light conditions. I personally check the juice level by holding the pod system against a light source, like the display of my laptop or a window, during the day. Vagon pods are refillable, but once the taste of the vapor begins to change, or if you start to detect a slight burnt taste, you will have to replace the pod with a new one, as the built-in coil and cotton wicking aren’t replaceable. That goes for all pod systems, so you can’t really call that a con. Besides, at an average price of $5 for two Vagon pods, I would say that using this device is easy on your wallet. Suorin claims that its new Vagon pod system comes with a built-in 430mAh battery, which is 30mAh more than the one in the Suorin Air. However, companies always tend to exaggerate these ratings for promotional purposes, so even though I haven’t tested my unit in this respect, I’m willing to bet that it has a capacity of around 400. Still, even going with the official 430mAh, that slightly upgraded capacity over the Air’s doesn’t make much difference. It may give you a few extra puffs, but it’s definitely too few to actually count. To be fair, 400mAh seems to be the standard for pod systems of this size, so I’m not mentioning this as a con. Now, if you’ve used advanced vape mods before, you probably known that they usually have a much higher battery rating, but keep in mind that the power output is much higher as well. With that 1.3Ω pod, the Suorin Vagon only outputs around 12W, so 400 or 430 mAh will actually last much longer than you think. I could never use it exclusively for a whole day, simply because I don’t enjoy this MTL, cigarette-like style of vaping, but I recon a beginner and even an intermediate user can get a goof 7-8 hours of use out of it. 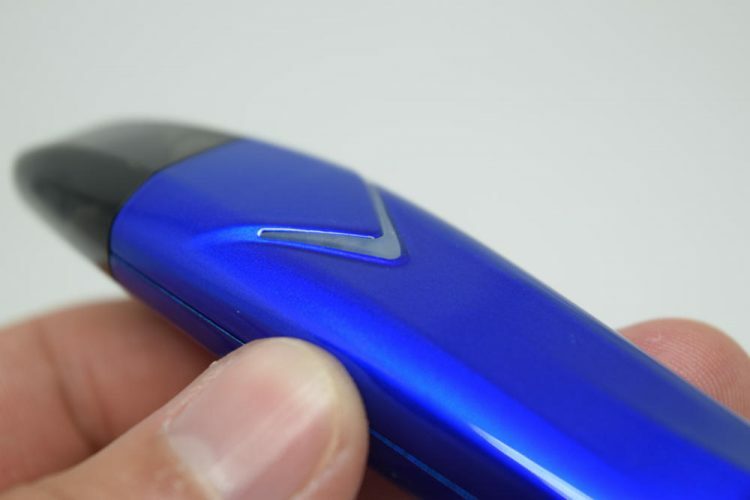 The Suorin Vagon features a V-shaped indicator light that lets you know how much battery life you have left. If the light turns green when you draw, it means you have over 70% battery, if the light turns blue, it means you have between 60% and 30% battery life left, and a red light means you have under 30% battery life. When that red lights start blinking when you draw, it’s time to recharge. 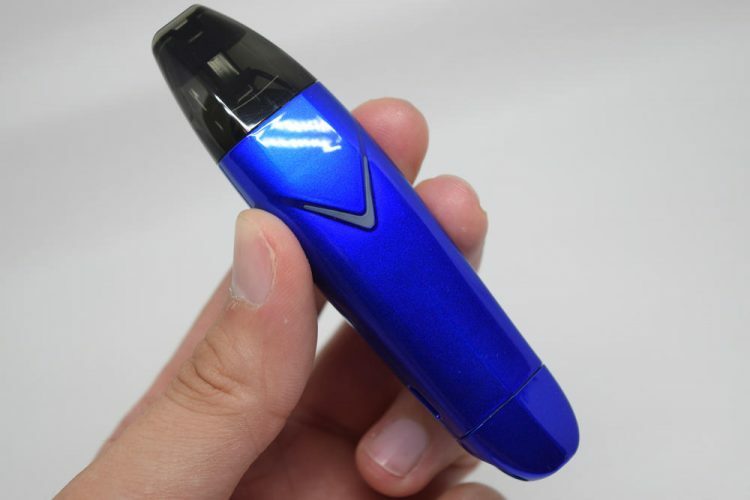 Luckily, the Vagon features vape-while-charging technology, so you can still vape on it while it’s charging. Now let’s talk about how it vapes. To vape on the Suorin Air for the first time, simply take out the pod, remove the protective plastic film from the bottom of the pod so that the metal contacts on it can touch the ones on the battery, fill it up with e-liquid and plug it back into the battery. Now just leave it a good 10 -15 minutes, to make sure that the cotton wick is saturated with juice, and you’re good to go. The Vagon features an automatic switch, so you don’t have to turn it on or off. Simply draw on the mouthpiece and it will activate the battery, which will in turn start to heat the coil inside the pod and produce vapor. That’s about all there is to it. As I mentioned, I personally am not a fan of the tight, cigarette-like draw, but taste is subjective. If you’re only coming off tobacco cigarettes and are looking for a similar experience to get your nicotine fix, I’m sure you’ll appreciate the Vagon a lot more than I have. For what it is, this device actually produces a decent amount of vapor, and the flavor is not bad either. It’s not what I’m used to, but as a beginner-oriented device, it’s ok.
One thing you should keep in mind is that the Vagon, like most other pod systems, requires one or two primer puffs to heat the coil. So your first puff isn’t going to produce a lot of vapor, because the coil doesn’t heat up fast enough, but the subsequent ones should be much better. It’s a bit annoying at first but you get used to it after a while. 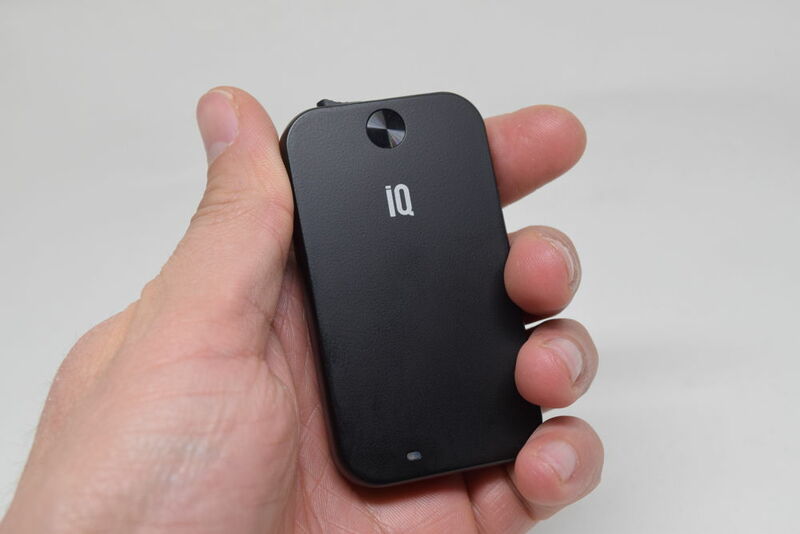 Otherwise, the Suorin Vagon is about as good as pod systems go. It has never misfired, I’ve had no problems with leaking, and the pod seems to last a long time. However, the Chinese manufacturer does recommend 70VG/30PG or 60VG/40PG e-liquids for optimum performance, so keep that in mind when shopping for e-juice. 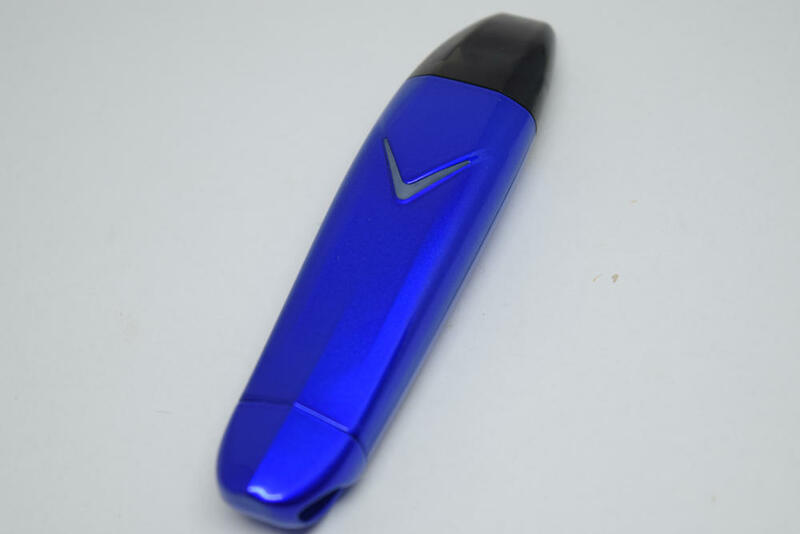 The Suorin Vagon is a solid pod system. The design and build quality are right up there with the best devices on the market, the pods are well made and even though they have to be discarded at some point, they actually last for a couple of weeks at least. The device works as advertised and has a tight draw that should appeal to ex-smokers. I wish the kit contained at least two pods, and that required primer puff and be annoying at first, but as a whole I think this is a really nice device. 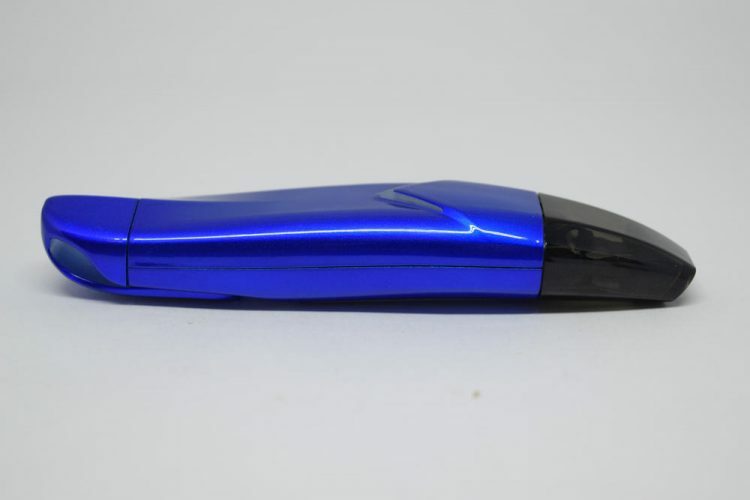 The Suorin Vagon was sent to me for the purpose of this review by Heaven Gifts. They currently have the Vagon in stock for the price of $34.99. I bought the vagon in September, it quit working anout 30 days or less later, suprin sent me a replacement in actimly manner, it malfuncioned in less than 30 days . I have been waiting for a replacement for over 30 days. This company leaves somethin to be desired in the customer relations department. I’ve had issues with the sourin air and emailed them about it. They never once responded so consider yourself lucky. Have been using one for 5 months now. Great device…only drawback is the short charging cable. You can vape while charging, but the cable size makes that very difficult to do, unless you can get within 12 inches of your power source. Not thrilled with the device. I’ve had 4 replacement pods start out with burnt flavors. I’m using the exact recommended ejuice/salts and getting horrible results. I emailed Sauron about my issues, fully detailing the issues, and they just replied with suggestion to do exactly what I said I did in my email. Just horrible customer relations. For that reason, I would not recommend. Why do I have to be an amateur because I vape to replace smoking cigarettes and don’t care about beautiful flavors and sick clouds brah? Some of us professional vapors just want a hard hitting, easy to use and discreet pod. This is why I can never trust reviews. To many people out there that vape because it looks cool.